When I was a kid, I used to keep track of my batting average during our extremely informal sandlot baseball season. I really didn’t know how to figure out a batting average, but I knew that one hit in two at bats was a .500 average, and I would go from there. One year, I hit something like .667, but I may have been off by 50 points or more. To call it a “season” really doesn’t do justice to our daily habit of roaming around Bridgeport looking for a place to play ball. Moreover, if we couldn’t find other kids beyond our neighborhood to play against (which was often the case), then we would split our core group in two and just play against each other in a lot, a field, or a quiet side-street. Our baseball season would go on without significant interruption until the dawn of another school year. At that point, as the summer sunlight began to slant away from us, retreating into an early dusk, fewer and fewer of us would regularly be available after school to play ball. A terrible disease called onset Algebra now vexed us in the short hours between our after-school snack and bath-time. It was often accompanied by a sharp pain of anxiety in the gut as we realized those moments lost daydreaming in the classroom (when we should have been paying attention to the teacher) were probably a fatal mistake. The darkness of the dreaded spelling homework doomed us, rendering pointless our pathetic protests to mom. There were still those infrequent moments where on a surprisingly warm September afternoon just after Labor Day, my friends and I would sweat out the school-day like alcoholics sobering up in the sunshine, and revel in the smell of leather gloves and the sound of the ball smacking into our mitts. These, the last days of summer, passed over us, through us, around us, the aroma of dead August still scenting the air. We would fight a losing battle to hang onto September, knowing full well that October portended thicker jackets, shorter days and frostier mornings. Funny thing about the last day of summer. By our unwritten definition, it was the final day we were all available to play baseball together. But we never knew in advance which day that would be, and we never marked its immediate passing with ceremony or scroll. Yet for some odd reason, after several slippery decades and another Labor Day have passed me by, denoting another dying summer, I still half expect to look out my kitchen window and see Scott and Johnny tossing around a scuffed ball, waiting for me to come out and play. Now my son, about the same age as the boys I remember playing with all those years ago, faces his own after-school homework demons, his lazy summer afternoons already just hazy memories. But the bat and ball buried deep in the closet beckon, and my arm feels good today. The math problems will still be here when we get back, and I doubt Scott and Johnny will wait around out there forever. In baseball, it turns out, there are no last days, merely irregularly scheduled off-seasons. The first MLB All-Star Game was played at Comiskey Park in Chicago on July 6, 1933. Babe Ruth hit the first All-Star Game home run, leading the A.L. to a 4-2 win over the N.L. Here are several MLB All-Star Game records which may peak your interest. 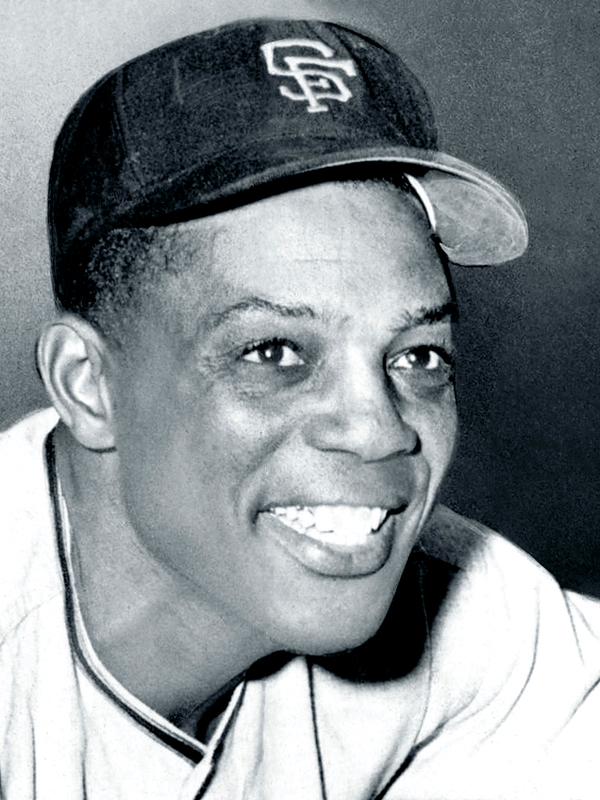 Willie Mays batted .307 in 24 All-Star Game appearances. Number of Grand Slams in All-Star Game history: 1, Freddy Lynn, A.L., 1983. First inside-the-park home run in an All-Star Game: Ichiro Suzuki, 2007. Best single All-Star Game performance, position player: Ted Williams, July 9, 1946. Williams slugged two home runs, lashed a pair of singles, and drew a walk, for ten total bases. Only All-Star Game steal of home: Pie Traynor, on the front end of a double-steal with Mel Ott, 1934. Most hits given up in one inning in an All-Star Game: Tom Glavine, 1st inning of 1992 All-Star Game, surrendered seven consecutive hits. Allowed nine hits overall, the most hits given up by one pitcher in an All-Star Game. Most consecutive strikeouts by a pitcher in one game: 5, Carl Hubbell, A.L., 1934, and Fernando Valenzuela, N.L., 1986. Most runs allowed in a single All-Star Game: 7, Atlee Hammaker, N.L., 1983. All 7 runs were scored in the 3rd inning. Shortest 9-Inning Game, By Time: 1 Hour, 53 Minutes, Sportsman’s Park, St. Louis, July 9, 1940, (N.L. won 4-0). Number of All-Star Games played: 83, the N.L. has 43 wins, the A.L. has 38 wins, and there have been two ties. 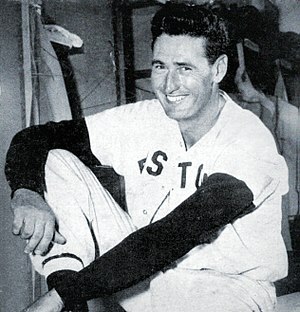 Ted Williams is commonly considered the greatest hitter in baseball history. He was the last batter to hit over .400 (.406 in 1941, at age 22), and he won the Triple Crown twice in his career. No modern player has won the Triple Crown even once since Carl Yastrzemski did it in 1967. Williams was an uncommonly patient hitter who hit a lot of home runs and drew a lot of bases on balls. Unlike the mythical portrayal of “Casey at the Bat,” a superlative slugger who wasn’t afraid to strike out, Williams actually didn’t strike out very often. In other words, he did not sacrifice batting average for power. If you peruse Williams’ career numbers over at Baseball-Reference.com (as indispensable a baseball reference tool as exists anywhere), you’ll find lots of “black ink” on his resume, indicating that he led his league in multiple offensive categories several times throughout his fabled career. There are batting crowns, home run titles, and, for the modern sabermetrics-inclined baseball fan, OPS+ and WAR victories as well. But did Ted Williams, the greatest hitter of all-time, ever lead his league in hits? To clarify, I’ve already pointed out that Williams won several batting titles. But was there a single season during which he actually accumulated the most safe hits in his league? Among players who have won batting titles, several of them have also led their league in hits. Tony Gwynn, for example, won eight batting crowns and also led his league in base hits seven times. Ty Cobb won an amazing 11 batting titles and led the league in base hits eight times. Rogers Hornsby won seven hitting crowns and led the league in hits four times. Generally speaking, then, players who win multiple batting crowns also tend to lead their league in actual hits at least some of the time. It may surprise you to learn, then, that Ted Williams never once led his league in hits. Ted Williams’ career high for hits in a season was 194 in 1949, when he was 30-years old. Interestingly, despite winning six batting titles in his career, Williams did not lead the league in hitting in the season in which he accumulated a career high in base hits. The secret to all those batting titles for Ted Williams, was, of course, his fantastic batting eye. He might not have accumulated a staggering number of hits, but, perhaps more importantly, he generated very few outs per plate appearance, relative to virtually every other hitter who ever played the game. Ted Williams simply would not swing at a bad pitch. When he was in the batter’s box, it was the pitcher who was immediately at a disadvantage, despite the fact that the pitcher could throw any pitch he wanted, at any speed he wanted, anywhere he preferred. What then to make of baseball’s continuing fetish for high hit totals, especially 200-hit seasons? Just a decade and a half after Williams retired, Dodgers first baseman Steve Garvey, a ten time All-Star and the N.L. MVP award winner in 1974 was widely regarded as one of the best players in the game. Garvey made a science of accumulating 200 hits in a season, apparently reasoning that it was an obvious mark of excellence. 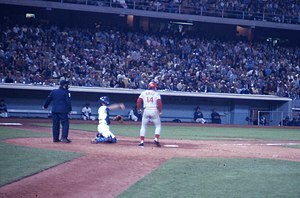 He reached the 200 hit mark six times in seven years from 1974-80. There have been many baseball pundits, philosophers, managers, coaches, players and mere fans who have reasoned over the past several decades that to hit for power, you have to sacrifice some batting average. Sluggers are supposed to drive in runs by driving home runs out of the park. Meanwhile, the rest of the players — especially at the top of the lineup — like Pete Rose, Lou Brock and Ichiro (none of whom drew very many walks overall) are supposed to swing away, lashing singles and doubles around the park. Yet Ted Williams proved long ago that a slugger does not have to sacrifice batting average for power, and that the number of base hits a player accumulates is not really all that important a statistic. It appears, though, that Ted Williams was just way ahead of his time, and it has taken so-called baseball experts a while to catch up. But the great ones are always ahead of their time and, as far as hitting is concerned, Ted Williams was the greatest of them all. In my last post in this series, I wrote about Pete Rose. 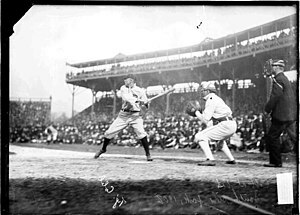 Rose has often been compared to Ty Cobb, both for his intense personality as well as for his take-no-prisoners style of play. He’s also been compared to Cobb for the obvious reason that he broke what was once considered Cobb’s unbreakable career hits record of 4,189 (according to Baseball-Reference.com.) Rose, of course, broke Cobb’s record, and finished his career with 4,256 hits. But Rose topped a .500 slugging percentage in just one season, and finished in the top ten in his league in slugging percentage just twice (1968-69.) His career slugging percentage of just .409 is the same as Rafael Furcal. In other words, Rose, like Ty Cobb, was a consummate contact hitter who sacrificed power in favor of batting average. But is that who Ty Cobb really was, or has this become an easy, though ultimately false, comparison? Now, I was already aware from prior research that Cobb won 11 batting titles, drove in over a hundred runs in a season several times, topped 200 hits in a season 9 or 10 times, and stole nearly 900 bases. So what I discovered truly surprised me. Ty Cobb led his league in slugging eight times in an eleven year span. In other words, from 1907 to 1917, Cobb was not merely the greatest hitter for average in his league, he was also the greatest slugger in his league. I don’t know about you, but if I was asked to rate these players beforehand from top to bottom regarding career slugging titles, I’m pretty sure this would not have been the order in which I would have listed them. Nor would I have come close to the number of slugging titles each of these players won. Gehrig, of course, had Ruth as a teammate, thus his low total. DiMaggio played his home games in a park that absolutely killed right-handed power hitters. Still, based on this list, it is beyond dispute that Ty Cobb was not merely one of the very best hitters for average in baseball history, he belongs on the short list of greatest sluggers in the history of the game, despite his modest total of 117 career home runs. Different parks and different eras both serve to either inflate or suppress a players apparent power. Because Cobb played in what’s commonly referred to as the Deadball Era, his reputation as a hitter has been unfairly limited to one aspect of the game, batting average. But there can be little doubt that if Cobb had played in favorable hitter’s decades like the 1920’s and ’30’s, he would be remembered today in much the same way that Rogers Hornsby or Ted Williams are recalled. All of which also points to the conclusion that any comparisons between Cobb and Rose as actual hitters needs to be reconsidered by most of us lest we make easy, though demonstrably inaccurate, comparisons. To perhaps tide you over until I return with some new material, here is a post I wrote about a year and a half ago about Pete Rose. Some of you haven’t seen this one before. If not, I hope you enjoy it. The object of this series is to revisit players most of us already know something about, then to uncover one fact or statistic that isn’t widely known. 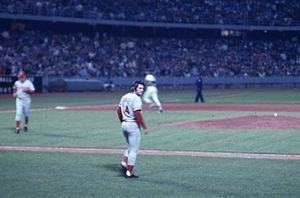 Pete Rose, like Joe Jackson before him, made some personal choices regarding baseball that came back to haunt him, and from which his personal reputation will probably never recover. But the fact remains that, on the baseball field, Pete Rose accomplished some very impressive things. He is, of course, baseball’s all-time hits leader with 4,256 safeties. His 3,215 singles are also the most in history. Rose is also in second place on the all-time doubles list with 746. He had ten 200-hit seasons, won three batting titles, and played in more games (3,562) than any other man in baseball history. Perhaps most impressively, though, Pete Rose reached base safely more times (5,929) than any other player ever did. That’s a lot of at bats. That’s a lot of plate appearances. First, some perspective. Babe Ruth made 5,758 outs in his entire career. Mickey Mantle made 5,899 outs. Richie Ashburn, who was primarily a lead-off hitter for most of his career, and who played in parts of three decades, made 6,096 outs. Willie McCovey broke into the big leagues when Eisenhower was President, and he didn’t retire until the eve of Ronald Reagan’s first term. McCovey made 6,259 outs. Carlton Fisk, who would probably still be playing today if someone hadn’t hidden his catching gear from him (1969-93!) made 6,767 outs. Ty Cobb, to whom Pete Rose in often compared, made 7,748 outs. Pete Rose made about as many outs in his career as Babe Ruth and Phil Rizzuto combined. He made approximately as many outs as Mike Piazza and Edgar Martinez combined. He made just a few less outs than Bobby Murcer and Kirby Puckett put together. The answer to my original question as to how many outs Pete Rose made in his career is that Rose made exactly 10,328 outs. He is the only player in history to have made more than 10,000 outs. Another way of looking at this is that if you take Rose’s 162 game average of 723 plate appearances per season, and divide 10,328 by 723, you end up with equivalent of 14 seasons where Rose did absolutely nothing but make outs! Rookie outfielder Bryce Harper is 19-years old. If Harper began next season going 0-4 in his first game, and then kept doing absolutely nothing but making outs UNTIL HE WAS 34 YEARS OLD — not a single hit, walk, or hit by pitch — he would then begin to approach the number of outs Rose made in his career. Would the Washington Nationals be patient enough to wait out a 14-year super-slump from this year’s phenom? I’m guessing probably not. So here’s a thought. If Pete Rose’s job was basically to do nothing other than to get on base (for he was by no means a slugger, nor was he much of a base-stealer), then do we consider him a success for reaching base more times than any man in history? Or do we shake our collective heads in disbelief regarding the overwhelming number of outs he made and ask, was it really necessary for him to play as long as he did? In short, were those 5,929 times on base really worth the 10,328 outs it took to get him there? Let’s hope Bryce Harper doesn’t have to find out the answer to that question the hard way. Baseball may be the most “conservative” of all major sports in the sense that once an idea or a philosophy gains broad acceptance, it is almost impossible to change. Baseball’s “Conventional Wisdom” is, at times, venerated as inviolable dogma akin to Holy Scripture. Woe unto ye heretics who question the value of “Small Ball,” Batting Average, or the Speedy Lead-Off hitter. If you think I exaggerate, just listen to Tim McCarver or Joe Morgan as they wax eloquent as to why sheer aggressiveness on the base-paths is always preferable to a more calculated, cautious approach by a base-runner. Or how On-Base Percentage is an overrated stat because where is the value in a slow-footed catcher clogging the bases? Over time, I’ve compiled a list of what I call, “Stupid Manager Tricks.” Originally, I was going to include all of them in a single blog-post, but as I began to write about the first item, “The Dubious Value of the Attempted Steal,” I quickly realized that “Stupid Manager Tricks” would have to become a series of posts. Therefore, in this post, I will highlight one common baseball strategy, part of baseball’s Common Wisdom, that I believe needs to be consigned to baseball’s Dust-Bin of History. The first item, as I’ve already alluded to, is one of the oldest and dearest strategies in baseball history. I am referring to the The Dubious Value of the Attempted Steal. The most important word in that short phrase is Attempted because, of course, some stolen base attempts result in the base-runner being thrown out, thereby, in many cases, short-circuiting an otherwise promising scoring opportunity. It has long been surmised that stolen base attempts rise and fall with the era in which they occur. For example, the assumption is that base-stealing was a more significant part of the game in the Dead Ball era, and then again in the late 1960’s-early ’70’s, when runs were more difficult to come by. Surprisingly, however, according to baseballanylists.com, there has been no distinct pattern between run scoring and stolen base attempts when comparing one era to another over time. They cite “mere fashion” as one reason teams decide to run more in one era as opposed to another one. Last season, Phillies second-baseman Chase Utley stole 23 bases without getting caught once. In effect, he turned 23 singles into doubles. Think about that for a moment. Does that mean that Utley’s overriding strategy once he reached first base was to automatically try to steal second base? No, it doesn’t. How do we know that? Because Utley reached first base a lot more than 23 times last season, yet he attempted only 23 stolen bases. Now, not all that many years ago, playing in Joe Morgan’s 1970’s National League, Utley would have been considered less aggressive (negative connotations) on the base-paths compared to a player like Frank Taveras of the Pittsburgh Pirates who stole 46 bases in 1978, but was caught stealing 25 times. In his day, Taveras was often lauded as an aggressive base-runner who put pressure on the opposing team’s pitcher, a player you would place at the top of the batting order to take better advantage of his speed and base-stealing capabilities. Yet, despite those 46 stolen bases, Taveras managed to score just 81 runs in 702 plate appearances despite the fact that the Pirates, featuring Willie Stargell, Dave Parker, Al Oliver, etc., were one of the premier run-scoring teams in the National League in 1978. That’s what happens when your “Table Setter” also comes equipped with a .313 on-base percentage. Meanwhile, Chase Utley, whose on-base percentage was .397 last season, scored 112 runs last season in 687 plate appearances. Utley is perhaps not as fast or as “aggressive” as Taveras, but he was certainly a better base-stealer, and a much more effective run producer. And, in the end, isn’t producing runs, (as opposed to merely stealing bases), the reason why any particular player goes up to home-plate, bat in hand, in the first place? Taveras’ over-aggressiveness, a fatal flaw for the Pirates in 1978 when they finished in second place to the Phillies in the N.L. East, resulted in an extra 25 outs for his team, with little obvious correlation of value-added runs scored as a result. In other words, it is quite possible that Taveras would’ve scored 81 runs, perhaps a few more, even if he had never attempted a single stolen base that season. Some stat-heads have calculated that a successful stolen base results in an extra .17-.20 runs scored for the base-runner and his team per steal. This means that if a base-runner successfully steals 40 bases, he might be adding an additional eight runs scored for his team over the course of an entire season. Meanwhile, it has also been calculated by statisticians far more competent than I that each caught-stealing costs a team about .50-.60 runs apiece. Therefore, Taveras’ 46 steals may have resulted in an extra 9 runs scored over the course of his 1978 season. But his 25 caught steals cost his team about 13 runs. So, in effect, Taveras aggressive base-running actually cost the Pirates a net total of four runs over the course of the season. 1977: D. Parker – 17/36, A. Oliver – 13/29, E. Ott – 7/14, R. Stennett – 28/46. 1978: B. Robinson – 14/25, P. Garner – 27/41, F. Taveras – 46/71. The combined totals for those two seasons by these seven players are 152 steals in 262 attempts, a 58% success rate. If you calculate the theoretical runs gained from successful steals vs. the runs lost from caught stealing, you end up with, conservatively, a net loss of about 100 runs over the two seasons. In other words, if the Pirates didn’t attempt a single stolen base in either 1977 or ’78, they would have been better off as a team. In ’77, they finished in second place, 5 games behind the Phillies. In ’78, they once again finished in second place behind the Phils, only 1.5 games out of first. It is entirely possible, then, that the Pirates ran themselves out of at least one, perhaps two, division titles. So what’s a manager to do? Should he shun stolen bases entirely as an effective offensive weapon in his arsenal? Of course not. In fact, evidence compiled over the past several seasons suggests that many of today’s managers are using the stolen base as a discretionary, tactical weapon in carefully chosen, particular circumstances. In fact, stolen base success rates are at an all-time high, approaching 78-79 percent over the past few years. Shouldn’t managers, then, become more aggressive with the running game now that base-stealing success rates are soaring? Of course not. If today’s Mets, for example, began to run as frequently as the ’78-’79 Pirates, there is no reason to think they would gain any additional strategic advantage over their opponents. It is likely, then, that we are now at a point in the evolution of baseball strategy that base-stealing today is now at a near-perfect balance between what can reasonably be gained, and lost, by the current, cumulative number of stolen-base attempts in any given season. There is nothing wrong with aggressiveness in baseball. All things being equal, who wouldn’t enjoy having a Jackie Robinson on their team? And speed on the base-paths is certainly important. Having a base-runner who is capable of moving from first to third base on a single, or who can score from second base on a base-hit, is always an unquestionable asset. But the term, “aggressive baseball,” used without a qualifying context, is not the same as intelligent baseball. In fact, as we have seen with the example of the Pirates of the 1970’s, it can be quite the opposite. Which is why the often over-used, under-analyzed value of the “aggressive” Attempted Steal, an example of baseball’s unwise Conventional Wisdom, is a primary example of a Stupid Manager Trick. Next up on Stupid Manager Tricks: The Almost Always Pointless Sacrifice Bunt.